Preparations are underway for the Hands-On Intensive Window Restoration class! David Wadsworth and crew are doing two “example” windows to demonstrate the process. The class will also include hands on practice with additional sashes or BYOS (Bring Your Own Sash). As of now, just a few spots remain, so register soon if you want to attend. 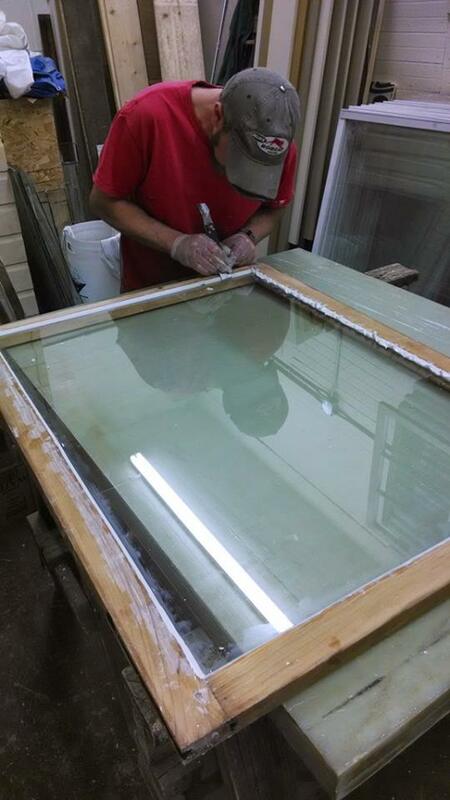 Installing the glazing on a historic window sash restoration.